Does Geocaching Facilitate Physical Social Interaction? Social networking websites are quickly changing the way people interact with each other. In the article “Social Network Sites: Public, Private, or What?” that we are reading this week for class, Danah Boyd notes, “New social technologies have altered the underlying architecture of social interaction and information distribution.” It’s widely thought that these new social networking websites are forming an environment where people are no longer interacting face-to-face, creating a sense of disconnection. Since geocaching requires the players to not only log their finds on a designated website, but to also physically go out into the world and take part in the game, I would like to explore the implications of this. The Geocaching Powers That Be Have Disappointed Me! So how are you planning to answer your question? Is there some place where you can pose this question to the community? Or a way for you to refer to some online data? Hey Mushon: Sorry I did not think to mention this at the time! I’ve been exploring a few different ways of finding information for this topic. As of right now, I’m mainly working off of online data I’ve been trying to accumulate. This will probably be what my first post mainly works off of. I found one main research article and am hoping to find more, but it does not seem like there’s too much out there on the topic in terms of research unfortunately. 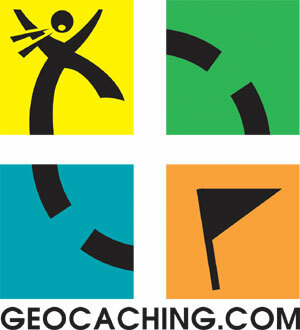 I’ve also been trying to contact geocaching.com to see if they can give me any type of target audience information. So far, no luck yet there! I posted a question to the geocaching.com discussion forum, asking the community why they geocache and what they get out of it. I was also thinking of interviewing a couple people. Is this okay? What do you think? Did you ever get the information you were looking for? There was someone at the University of Toronto that was doing work in this field. I don’t recall her contact details at this time. email me if you need some help.